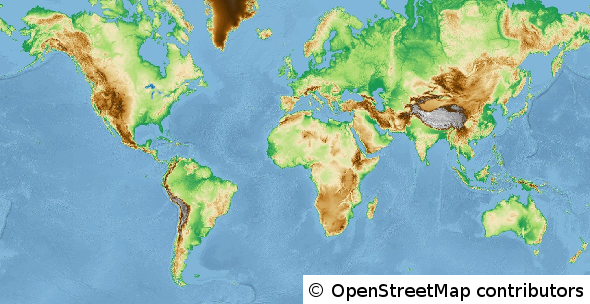 These two WMS show the world in a topographic manner. The “TOPO-WMS” is based on the SRTM 450m and SRTM 30m digital elevation models (DEM) and represent the height with a classic colorrank. The resolution near the poles gets lower, as we use the global DEM with a resolution of 450m there. 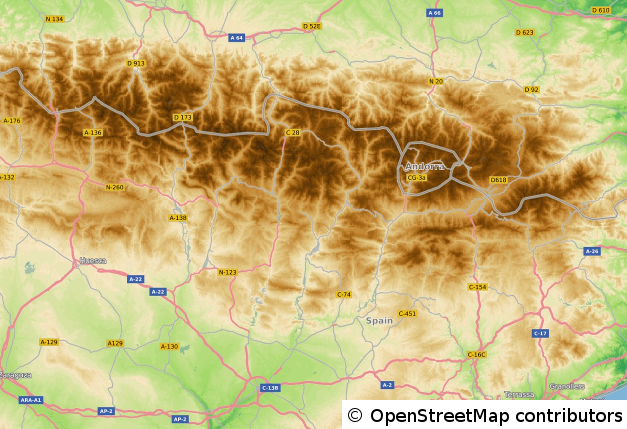 The service “TOPO-OSM-WMS” additionally shows data of the OpenStreetMap-Project, to get a better orientation with the help of borders, roads, places and waterareas. As this service is based on the data of the OpenStreetMap-Project, you have to respect the corresponding copyright. If you use this service in your applications, make sure to include the copyright as stated here. Also review the capabilites document of this service to see the full list of data sources and copyright information.